If you are looking to increase your profits as a real estate agent and start producing numbers that help you stand out in your community, there are things you need to do to make this happen. You can’t just put your allotted time in every day expecting great outcomes. You have to go above and beyond to provide a service that people take notice of. These three processes can help you build a system for top producing agent numbers while building a business that will last for many years to come. 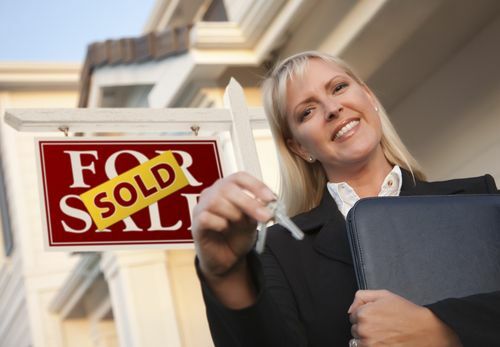 Find Your Niche – It is important to find something that sets you apart from other real estate agents. This is your niche. Having a niche is important and will help you to attract new clients. Whether you are your area’s only Scottish real estate agent or you donate a percentage of your earnings on each house to a nominated charity, finding that thing which allows you to stand out can be a unique and profitable way to attract new clients. Build Authentic Relationships – Remember that the relationship with your seller or buyer needs to extend well beyond the sale. You need to have a process set up that allows you to stay in contact with your clients. Schedule lunches and birthday reminders, send regular greeting cards/postcards, or provide a helpful monthly newsletter. It is important to build relationships with your clients. Referrals Work – Many successful real estate businesses are built on referrals. If you provide exceptional service to a client then they are likely to pass your details on to those they come in contact with. On average people buy a new home every 5-7 years. While it may seem that waiting that long between sales is not profitable, if you have a lot of clients in your database these rolling sales can become a huge part of your business. By finding your niche and building authentic relationships with your client, you can build a system for top producing agent status while building a profitable real estate business that will stand firm through the ups and downs of your local real estate market. For more information, check out this infographic: Rules for Client Retention in Real Estate.